An earthquake of magnitude 4.9 occurred in the North of the Republic of Buryatia. 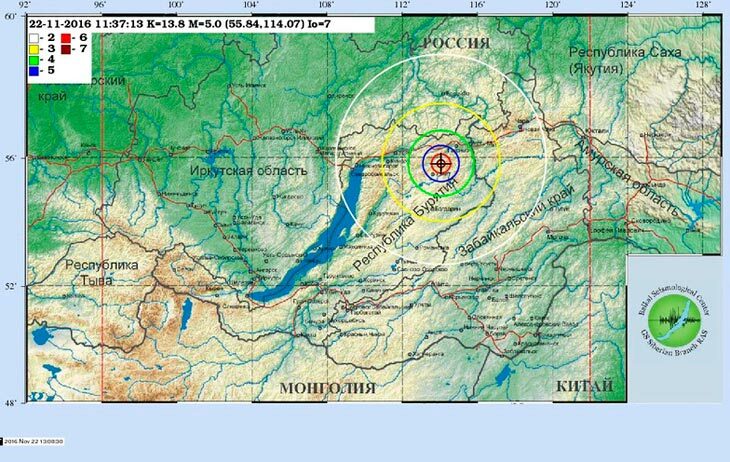 The earthquake epicenter was located 53 km from the village Severomuisk and 427 km East of Chita. The focus lies at a depth of 10 kilometers. Objects of housing and communal services and electricity work in regular mode. a survey of socially significant objects. The residents of Chita and Transbaikalia felt the echoes of this earthquake. No consequences, it did not matter, according to the regional EMERCOM. On a telephone hotline of management of residents received more than 30 calls about the earthquake.